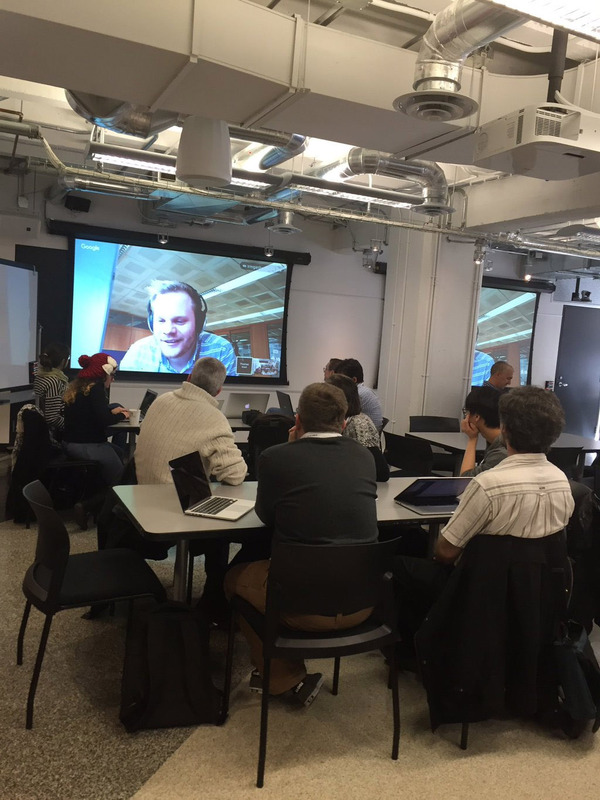 Wednesday April 13th a hackaton were taking place in Google Canada's offices as a W4A/WWW-2016 event. The aim of the hack was to improve accessibility within H5P. Below is a picture of H5P co-founder and core developer Thomas Marstrander giving an introduction to H5P. Several improvements were made to the accessibility of H5P during the hackaton and I want to thank all the participants for their efforts in pushing H5P forwards in terms of accessibility. I also want to thank the organizers, W4A, PEAT and Google for hosting this great event. All the teams made impressive contributions to H5P and deserve a lot of honor and credit for it. 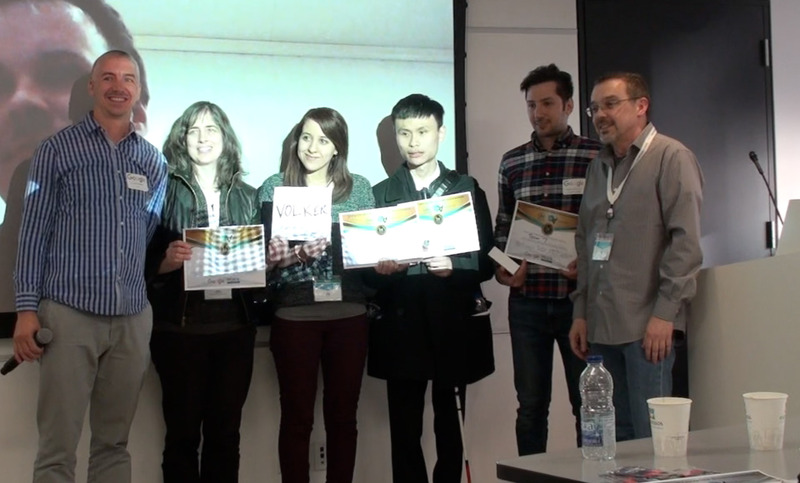 One team stood out with improvements to several content types and was named the winner. Their improvements required tackling quite a lot of complexity and will improve the accessibility for these content types substantially. From the left: Josh Christianson (Project Director PEAT), Simone Laughton, Sara El Afia, (Volker Sorge represented on paper! ), Philbert Tjong, Shahriar Rostami Dovom, Greg Gay (Chair of W4A). I hope to see more of both the winning team and the other participants on H5P.org and in our GitHub repositories and look forward to bringing more and more accessibility features to the H5P community in the time to come. Awesome job everyone! Which content types did they tackle? Yes, it was great! Several content types where worked on in the hackaton including Interactive Video, Summary, Mark the words, Arithmetic Quiz and charts. Great to hear! Will the accessible versions be released soon by any chance? We're going to release the Arithmetic Quiz in the summer release and the others in the releases that follows.